iPhone users and fans of Apple have reacted with anger and frustration at the new maps application launched yesterday on the iPhone. 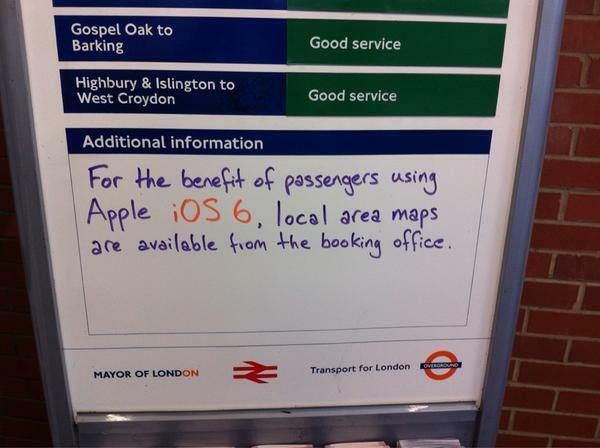 Many of the users have reported that the app doesn’t live up to the former Google Maps application which Apple decided to replace in favour of their own. The app, which is made in collaboration with TomTom, supposedly offers much less details and gives poor or no information on many well known landmarks. Some official complaints posted on popular tech websites like The Register, claim the application has a ton of obvious mistakes, from towns being located in completely the wrong place to rural roads missing.